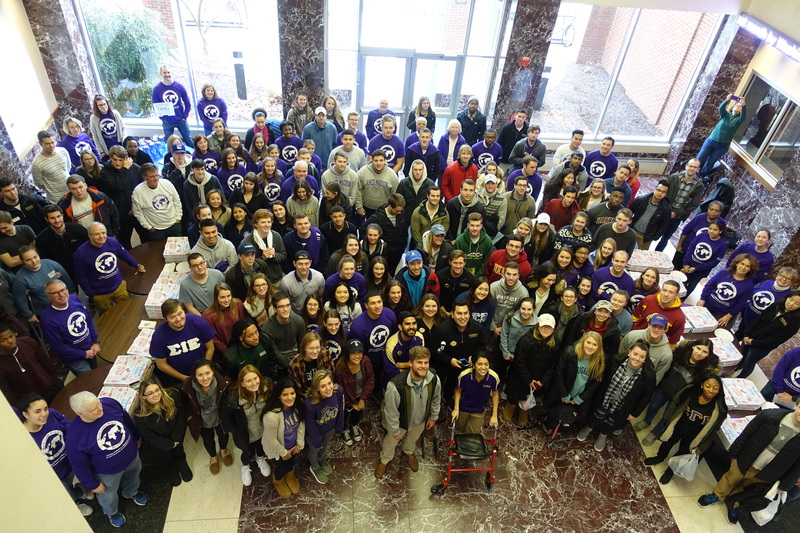 Continuing the tradition of donating our day to the community, students in my Digital Marketing Practicum course (MKTG 477) participated in the 3rd Annual JMU College of Business Martin Luther King Jr. (MLK) Day of Service. We started the day by giving a gift for the Food Pantry at Massanutten Presbyterian Church. Alex Goldfarb took the lead in obtaining donations of many important items such as diapers, laundry detergent, razor blades, bath soap, deodorant, and feminine hygiene products. These items can not be purchased with Food Stamps and are not easily found at the Food Bank. Dr. Theresa Clarke’s Digital Marketing Practicum Students donated non-perishable items for the Food Pantry at Massanutten Presbyterian Church. 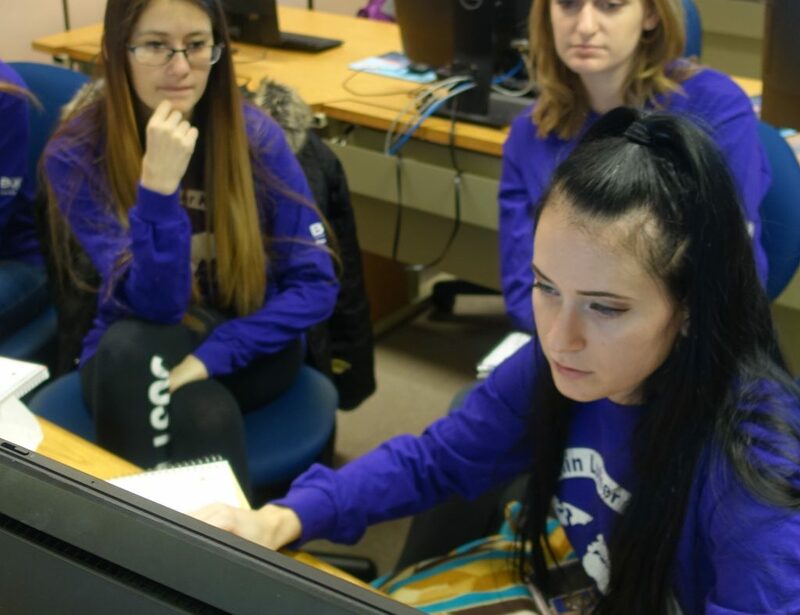 For the rest of the day, students began the digital marketing planning process for four nonprofit organizations that are Google Ad Grant recipients in the Google for Nonprofits Program. The students will continue their work with these nonprofits throughout the semester. Nicole Swindell and Megan Charnovich draft an outreach letter to their nonprofit client in Ghana. 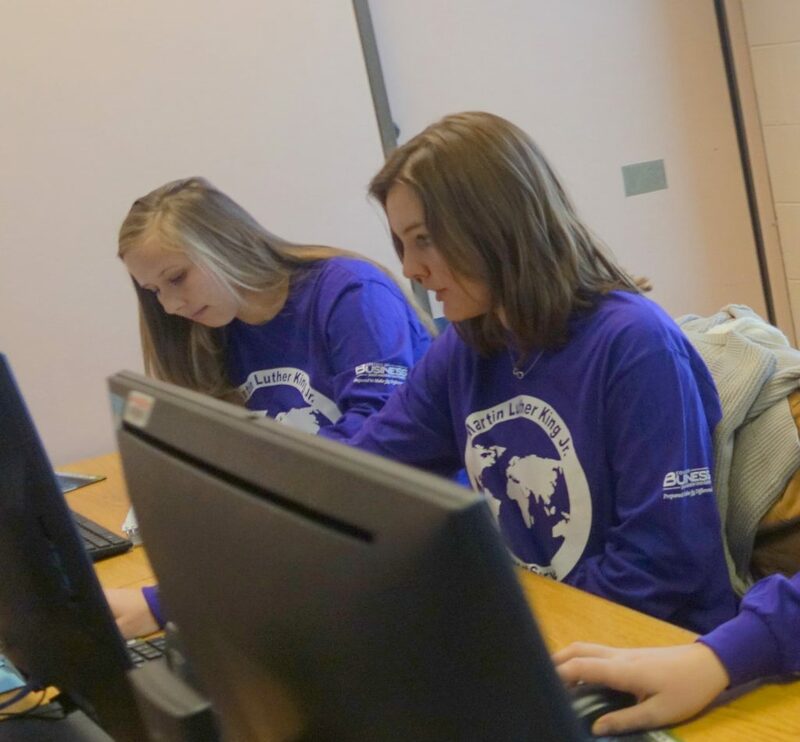 Jenn Helenek, Haley Nininger, and Rebecca Kilcoyne download their nonprofit’s AdWords account into AdWords Editor. Faculty, staff, and students were treated to a pizza lunch break, compliments of the JMU College of Business. 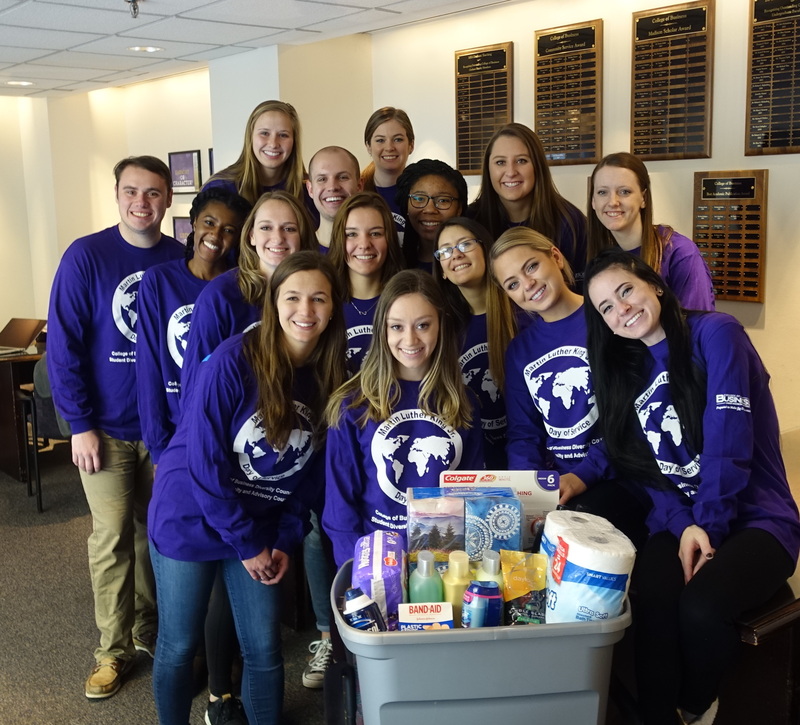 On behalf of my MKTG 477 students, we are very happy to share our marketing talents as we give back to the world through the 3rd Annual JMU College of Business Martin Luther King Jr. (MLK) Day of Service.